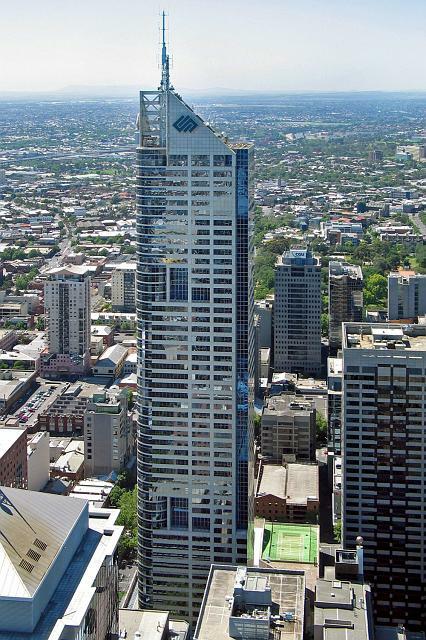 Bourke Place is the fourth tallest building in Melbourne, the structure is 223 m high (254 m including the spire), and has 51 floors. 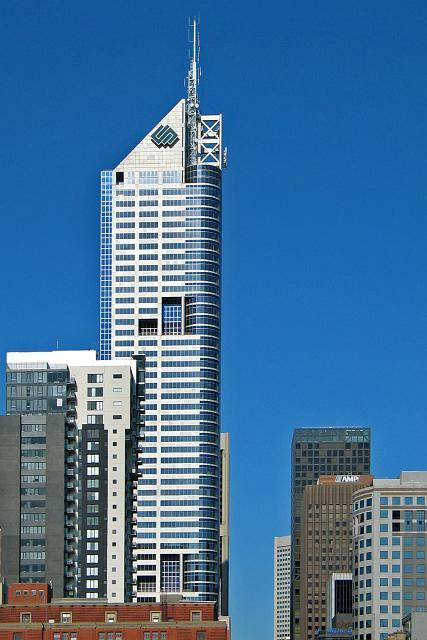 It is located at 600 Bourke Street, in the central business district, and was completed in 1991. Designed by the architectural firm Godfrey & Spowers, it is a modernist building. It previously served as the headquarters for BHP Billiton, and the company's sign on the outside of the structure was the highest in the country. BHP has since moved to a new building across the city in QV Village, the sign too has just recently been removed. The building's most obvious feature on the skyline is its sloped roof, which hides various communications equipment. The structure's facade is 170,000 m² of laminated glass. 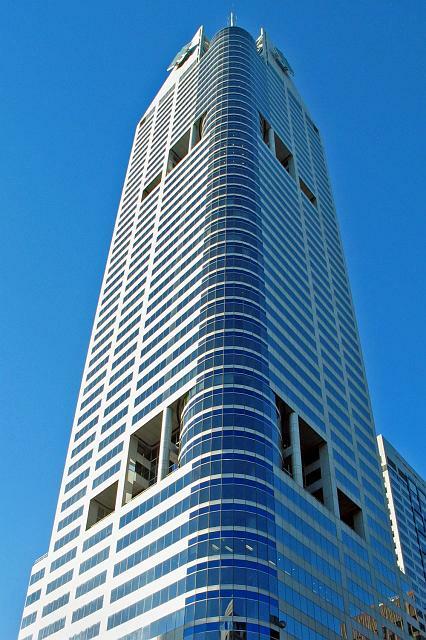 Bourke Place is home to numerous law firms, including King & Wood Mallesons, which occupies the top 11 floors. A few photographs of my own.